New! 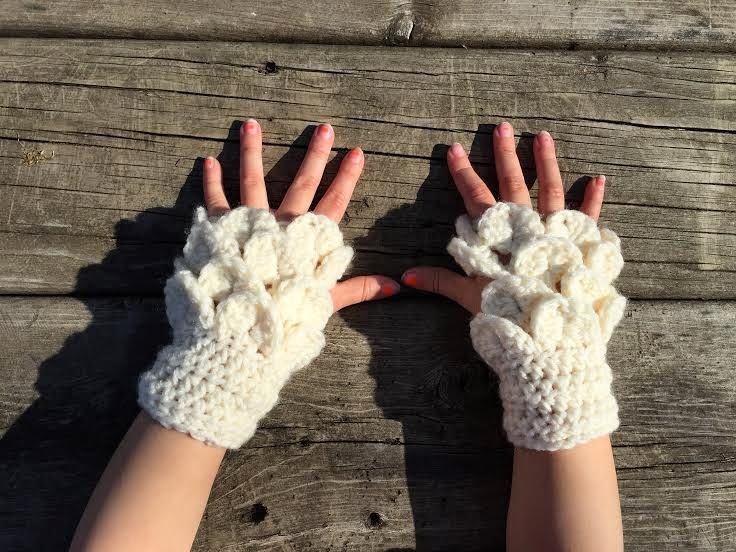 Kids Crocodile Stitch Gloves! 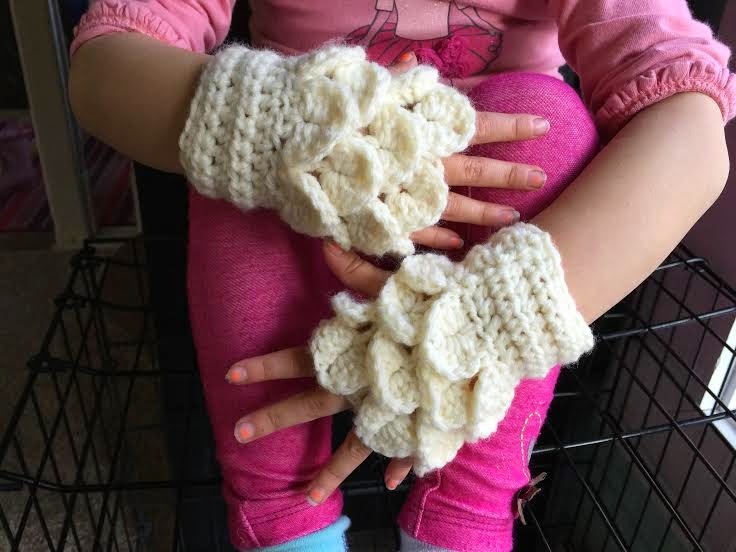 Kids Crocodile-Stitch Fingerless Gloves now available in my Ravlery store! 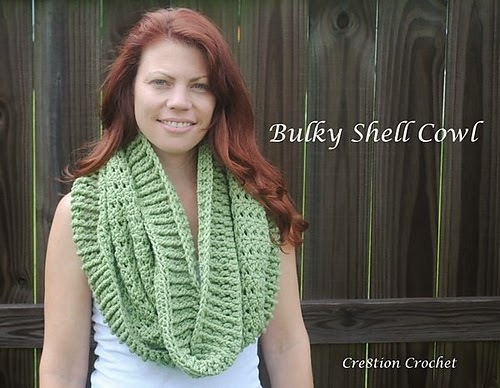 NEW Chunky Infinity Cowl Pattern! 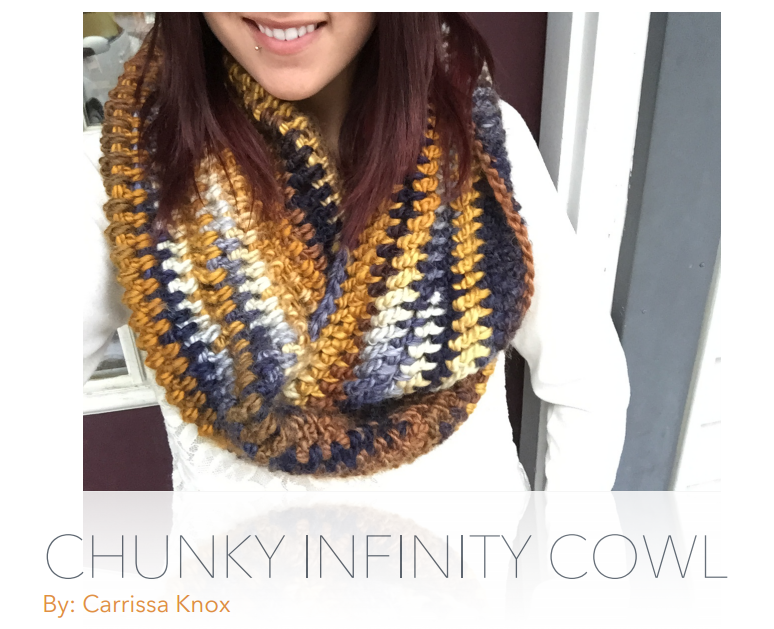 This chunky infinity cowl is sure to keep you warm. 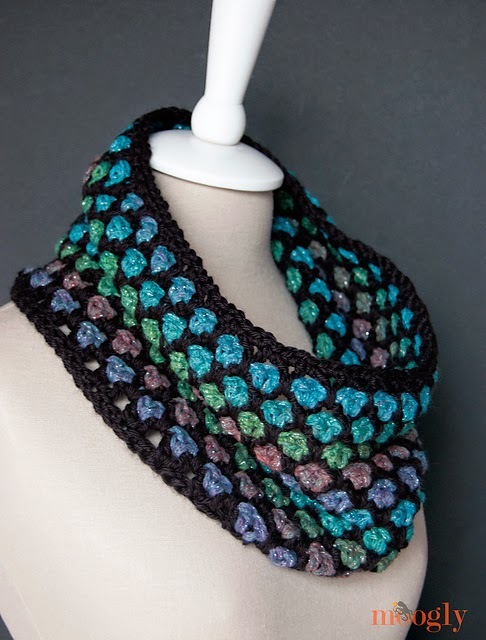 Using Isaac Mizrahi craft yarn, this cowl works up very quickly and the amazing colors in this yarn make it so fun to create! Texturing in this pattern is very easy by just making slight changes to the stitches, video included! 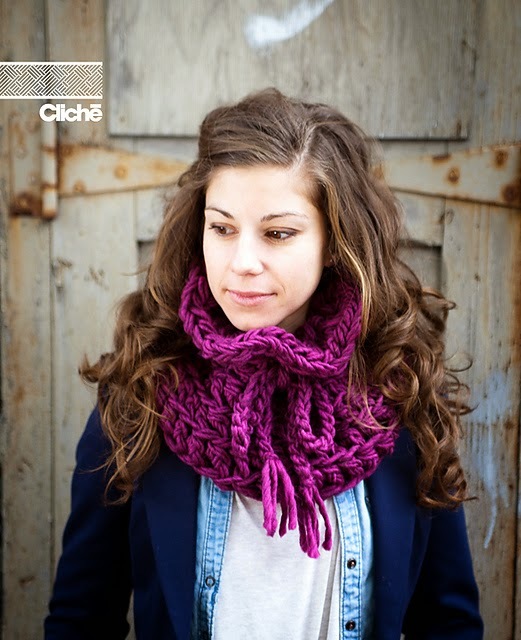 Grab some chunky yarn and let’s get hooking, you’ll have a beautiful new scarf in just a few hours! 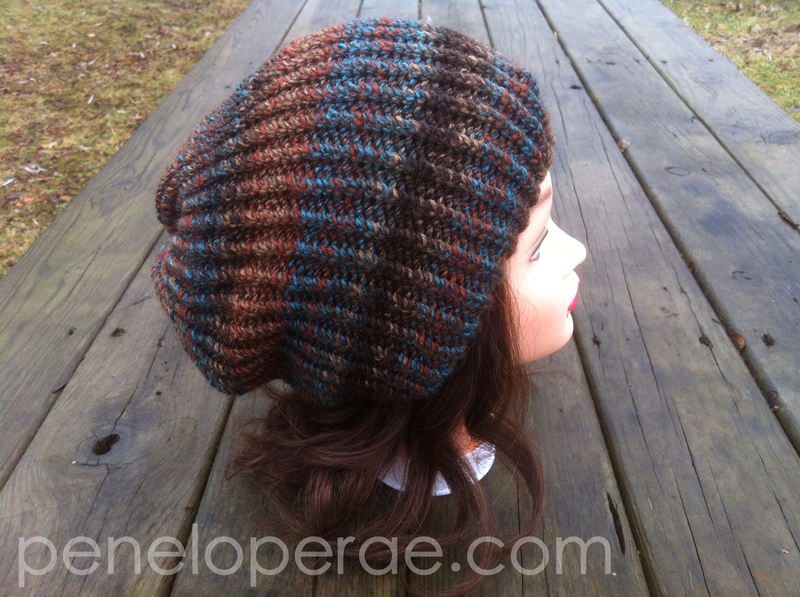 View this pattern in my Ravelry Store by clicking the image above! 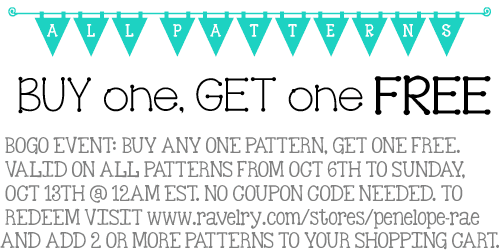 As we head into fall I've collected a few free patterns for Free Pattern Friday. 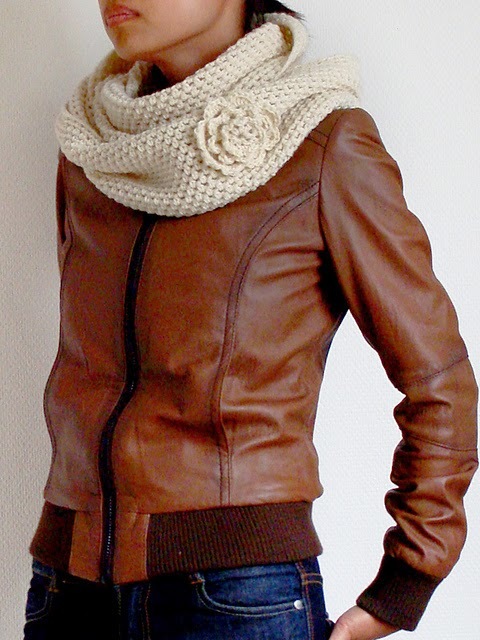 This week being my favorite fall-time accessory, cowls! 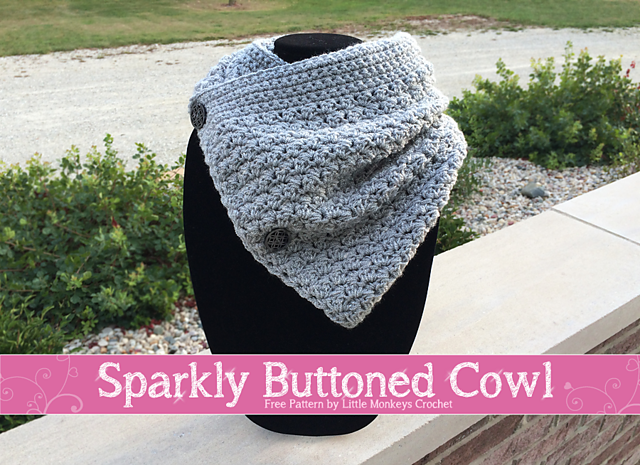 Cowls are not only trendy and super comforting, but they also make the best crochet projects! 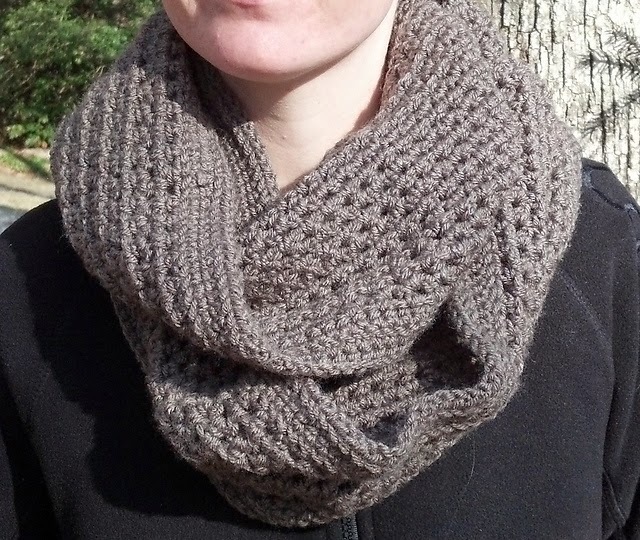 Have any free cowl patterns that you love? Share them in the comments below! This Week- Half Off Sale! 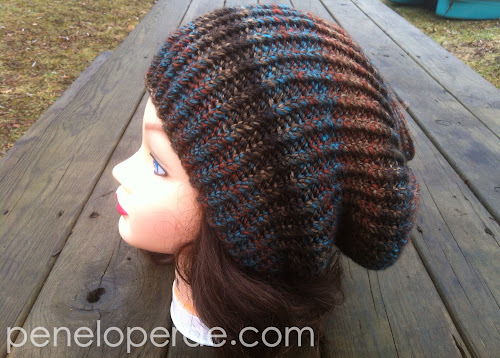 This pattern teaches you how to make a textured slouch hat using four different colors and a variety of stitches. Although the stitch patterns may look complicated, they are all created by using single, double, half-double, or triple crochet stitches. 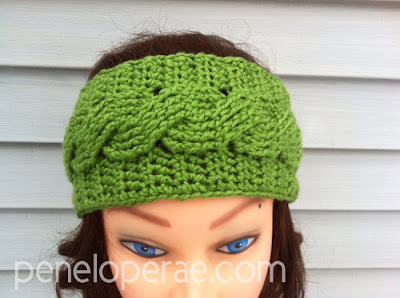 All the instructions to create these special stitches are included, so no worries! To purchase this pattern click here. Tips & Tricks: Color Changing Tutorial! I've created a tutorial to show you how to do quick and easy color changes in crochet. This method makes color changes SUPER easy! You no longer have to tie off and join new colors and you can also tuck away your tail ends as you go! I have been using this method of color changing forever, enjoy! 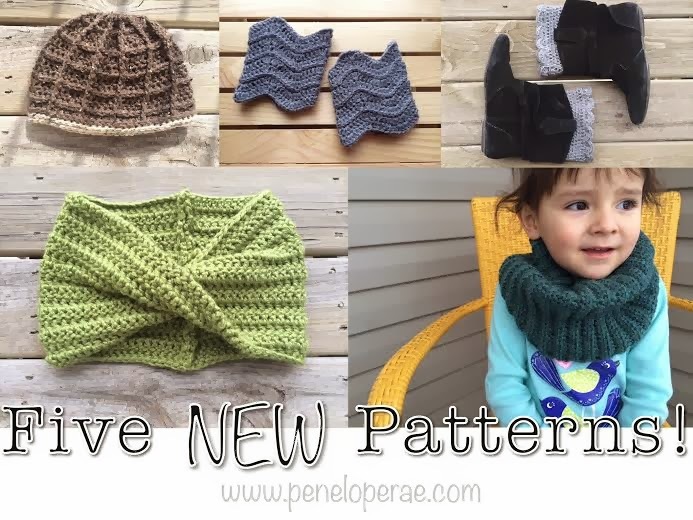 25% Off & 5 NEW Patterns! 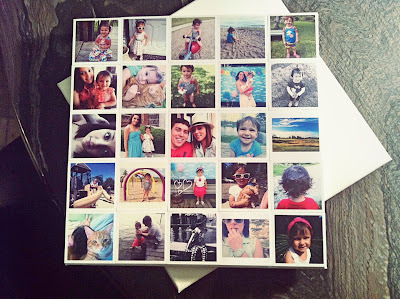 check out the full tutorial on www.OhHowCrafty.com! Please enjoy the FREE 'Pattern of the Week'! 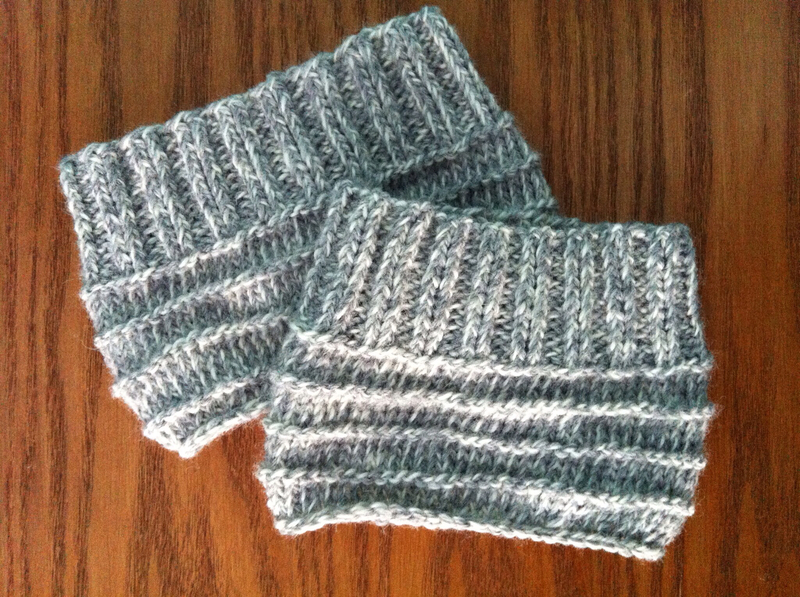 These are my crochet boot cuffs, pattern originally published in September, 2012. Ch 1, turn your work 90° clockwise. The rest of the boot cuff is worked in rounds. Round 1: sc 46 times around the edge of the cuff. Join with a sl st in the ch 1 space. Ch 1. Rounds 5 and 7: Repeat round 3. Join with a sl st. Fasten off. 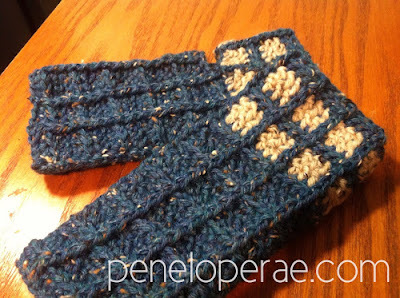 Finish: Tuck in ends with yarn needle and add 2 or 3 buttons of your choice to the outside of each cuff. Two patterns in one! 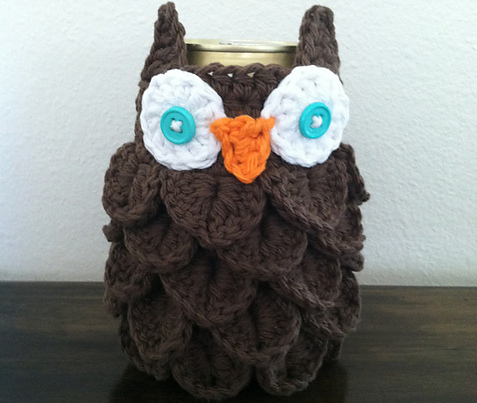 Included is patterns for adorable owl cozies to fit both cans and bottles. These cozies are perfect for summer and way too cute! 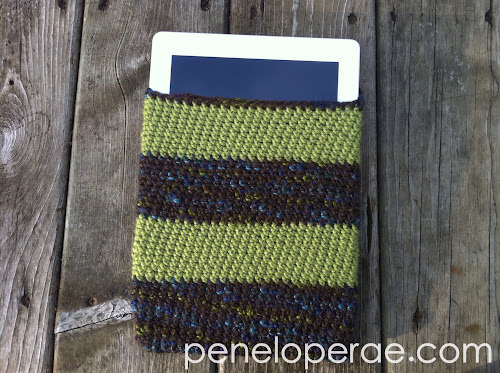 The pattern includes photo tutorials to help you finish these cozies. Materials: Worsted weight yarn of your choice (Pictured: Impeccable, Loops & Threads), G 4.0mm crochet hook, buttons of your choice. Purchase this pattern from my Ravelry and Etsy pages! 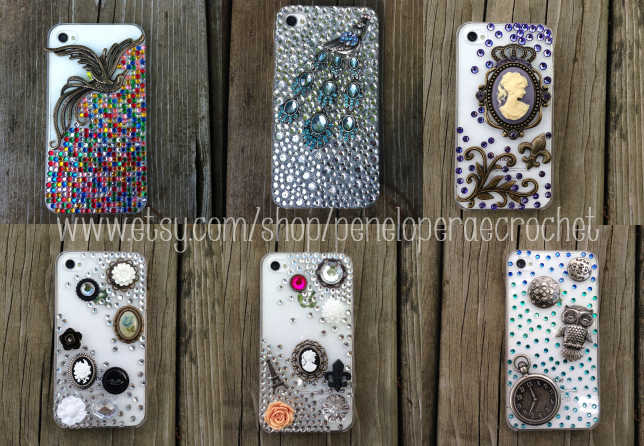 My handmade iPhone cases are now listed for sale in my Etsy shop! More to come, check them out by clicking on the picture below! 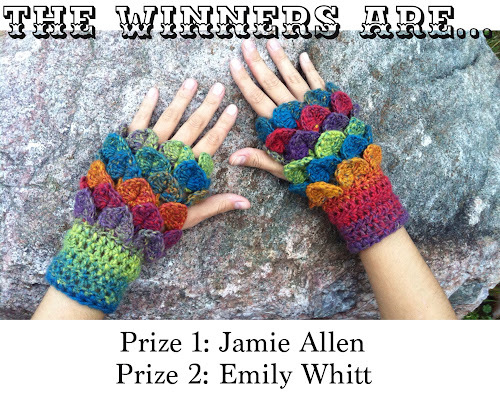 Introducing two completely new fingerless glove patterns! 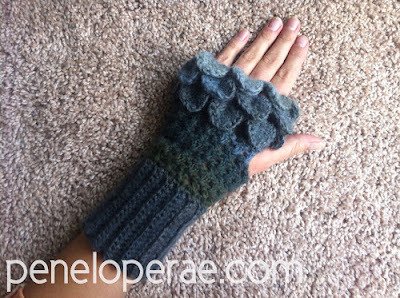 I have been in the glove-designing mood, so I am happy to share with you a COUPON CODE to receive 25% off ANY glove pattern in my Ravelry Store! 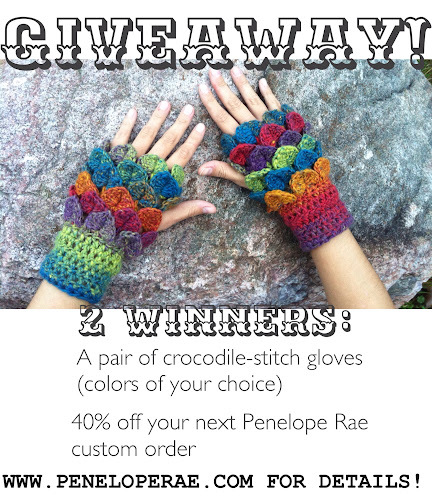 Simply click the image below or visit www.ravelry.com/designers/carrissa-knox and start shopping! I am very excited to say that I have re-launched my Etsy Shop! I will be selling all crochet and knit patterns as well as miscellaneous crafts and what-nots (as well as bulk patterns!). I am very excited that now once you purchase a pattern Etsy will redirect you to immediately download the PDF pattern! Yay for Etsy! Feel free to check out my shop! 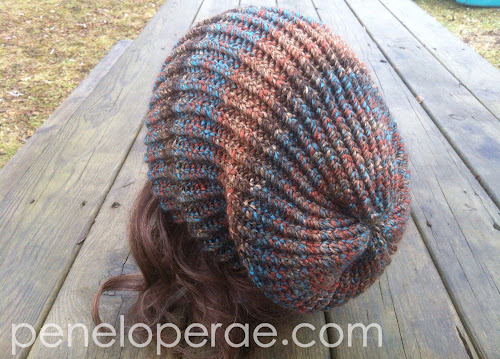 Click the image above to view my Ravelry store!! Don't forget to sign up for my newsletter to receive 25% off your next pattern! Please enjoy my newest patterns-click on the images below to check out these new patterns! Thank you to everyone who entered! The winners will be contacted by email. I am so sorry I've been hiatus for so long! 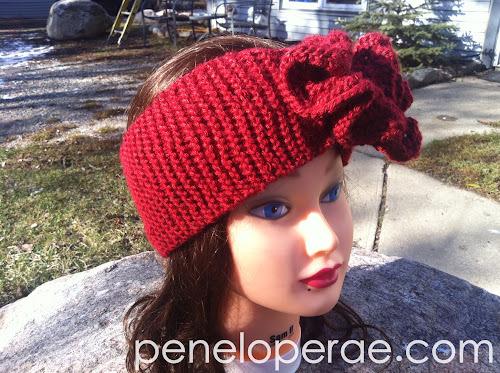 I've been so busy and am very happy to announce that there are some exciting new changes coming to Penelope Rae! But we will talk about that later, for now... let's have a GIVEAWAY! I'm giving away 2 PRIZES! One: a pair of crocodile-stitch fingerless gloves (made to order, colors of your choice). 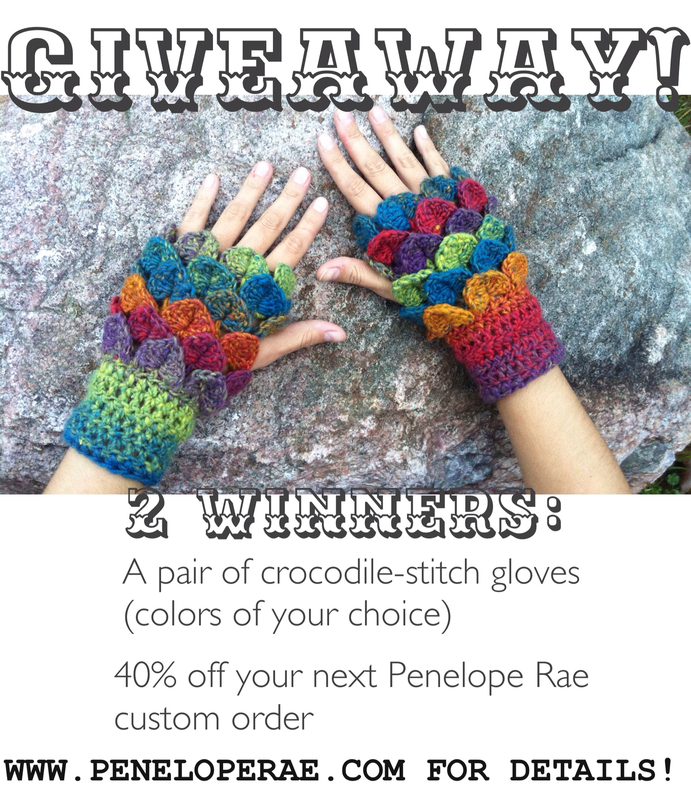 Two: 40% off your next custom Penelope Rae crochet order! Enter now until Monday at midnight EST! 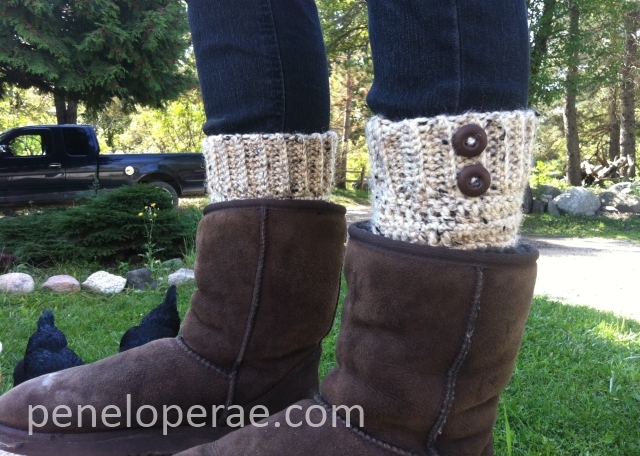 Knit Boot Cuffs- Free Knitting Pattern! Cast on 74 sts (13 in around). For larger cuffs, cast on 80 sts and continue pattern as normal (15 in around). Rows 2-12: Repeat row 1. Row 20 (WS): p2tog, p2, *p2tog, p2* repeat across. Mushroom Knit Cap-Free Knitting Pattern! -*k2, p2 all the way around. *Repeat for 6 rounds or until the ribbing reaches your desired length. -Finish ribbing by purling 1 round. 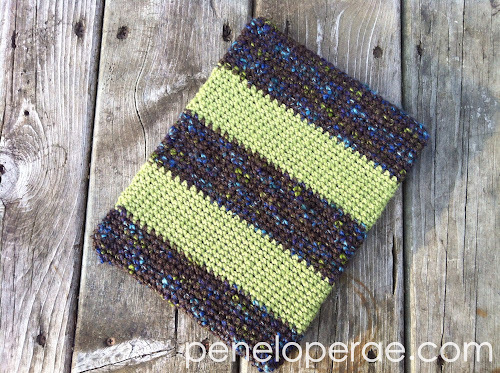 -*Knit 4 rounds, purl 1 round. * Repeat 4 more times. -End by knitting 4 rounds. Finish: Cut the yarn end, leaving enough for sewing. Using the yarn needle, draw the yarn through the loops on the knitting needle and pull tight to synch the end closed. Tie off and tuck in the end. 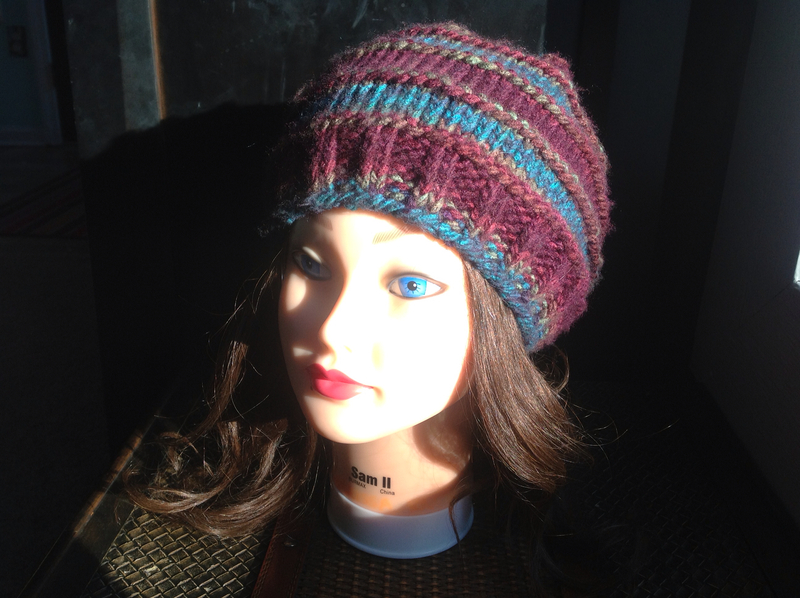 Using the elastic and yarn needle, weave the elastic through the stitches around the opening of the hat. Pull as tightly as you'd like before tying off. *k1, p1 all the way around. *Repeat until the hat reaches 12 inches in length. Cut the yarn end, leaving enough for sewing. Using the yarn needle, draw the yarn through the loops on the knitting needle and pull tight to synch the end closed. Tie off and tuck in the end. 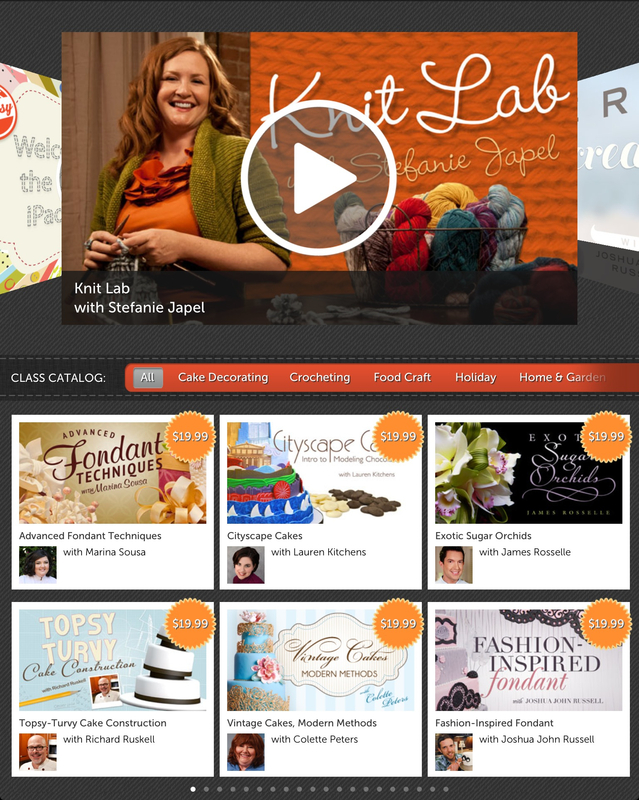 "Craftsy is a community of people who love to make things." Quilters, bakers, crafters, knitters, crocheters and more come together in this online community to learn and inspire. 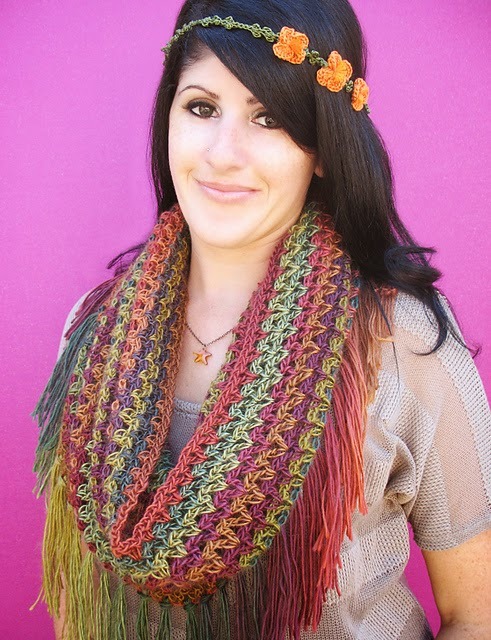 You can share and sell patterns, shop for supplies, share projects, and take online classes! 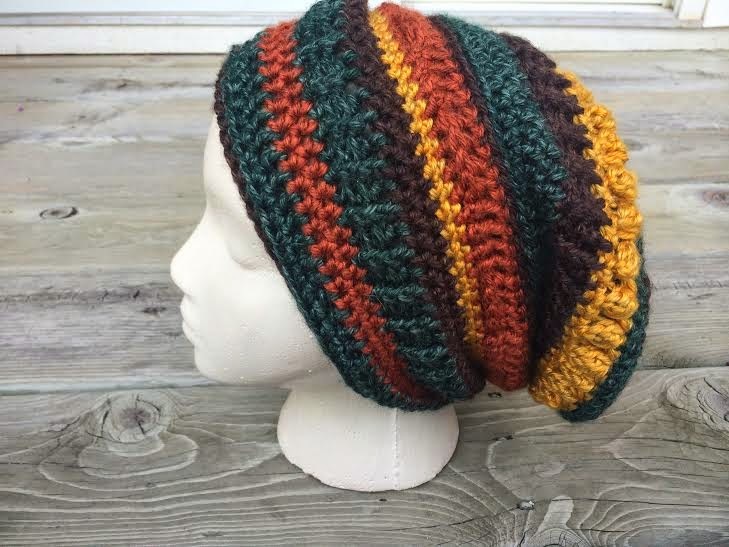 I have been using Craftsy to share my free crochet patterns and I finally decided to take my first class! 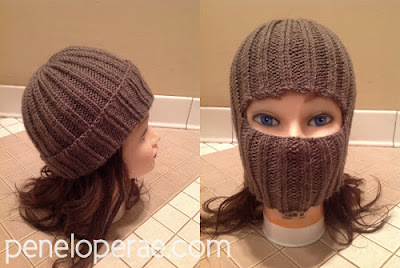 The only thing that could make Craftsy better is if they offered more crochet classes! Being an advanced crocheter I would have liked to take some unique crochet classes, but new classes are always being offered so I'm hoping its only a matter of time! Instead, I decided to learn something I have always wanted to try and I enrolled in Knit Lab with Stefanie Japel! Learning to knit has always been on my "lifelong list of things to do" and I was very excited to learn! The course also provides you with class materials with helpful tools and patterns for the class projects. It also includes a class overview, materials and patterns, information about your instructor, and other resources. When you finish with the class project you can share your final projects along with pictures of other finished projects made by your classmates! (View mine below!) 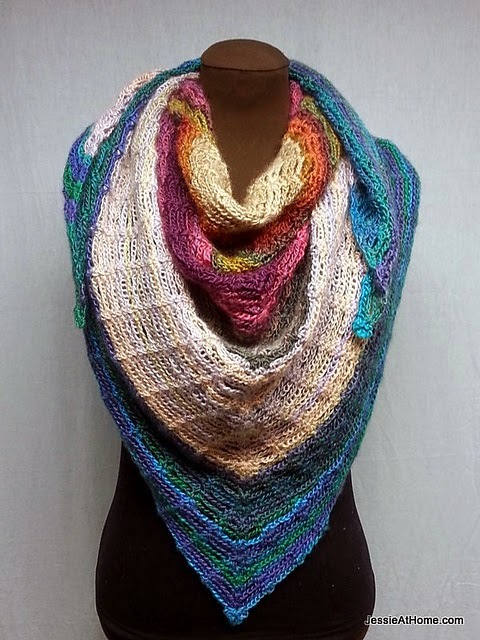 You are allowed to comment on and view different yarns and materials that others used and it's just lovely to view other projects like your own and maybe get ideas for the next time! What's better than all of this? There is also a Craftsy app for the iPad! With a lovely design, you can take your class with you and even enroll in new classes everywhere you go! The app is great for taking classes and the only thing I wish the app allowed you to do is upload patterns, but unfortunately for now you can not upload patterns to Craftsy from your iPad. I had an amazing first experience taking my Craftsy class! And even more, it never has to end. You can go back and view and even retake your class anytime you want! 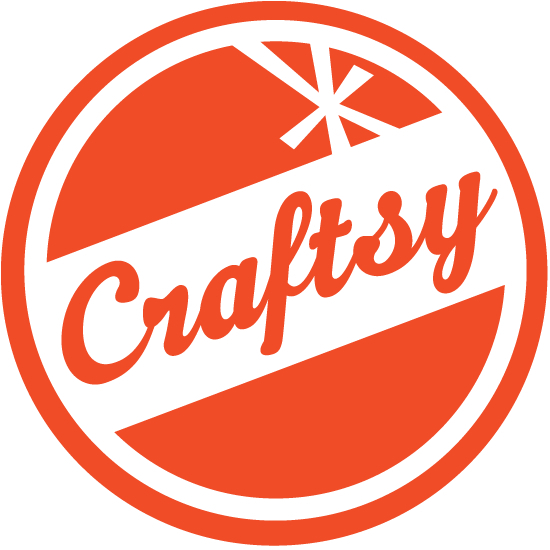 Craftsy is a fantastic and largely growing community and would recommend it for anyone! 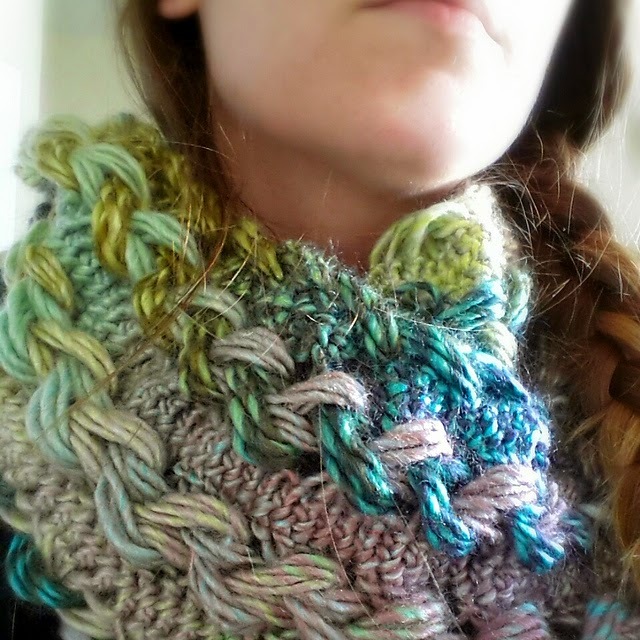 Here is my first Lacy Keyhole Scarf created while taking Knit Lab! 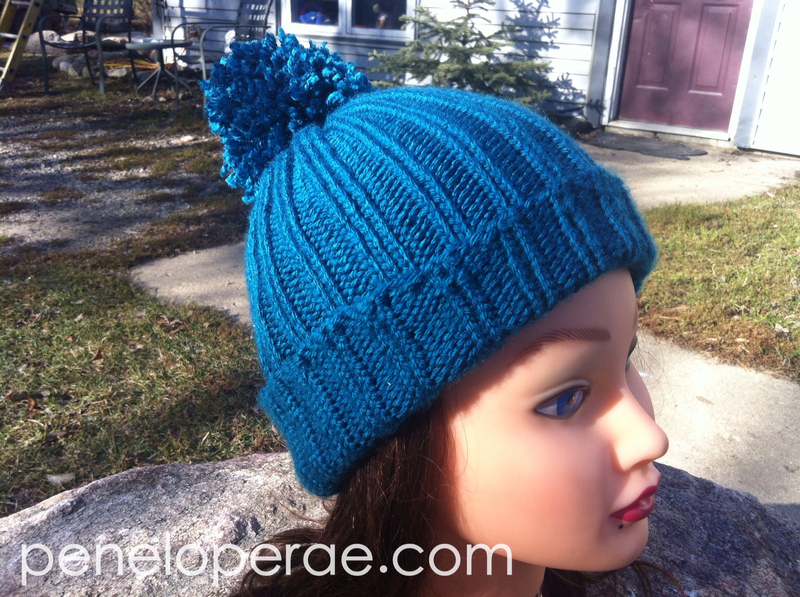 And after taking the class I made my very first knit hat! Pattern: *This pattern is like working in rows, but you are actually working in the round. Round 1: Sc in each of the 25 sts across. (Instead of turning, you are going to continue working around the backside of the chains to turn your work into rounds.) Continue with 25 sc along the back. Join with a sl st in the first st. Ch 1. Round 2: Sc in each of the 50 sts around. Join with a sl st in first ch. Ch 1. Round 1: Sc in each of the 50 sts around. Join with a sl st in ch 1. Ch 1. Round 2: Sc in next 27 sts, ch 21, skip the next 21 sts and sc in the last 2 sts. Join with a sl st in first ch. Ch 1. Round 3: Sc in next 27 sts, sc in next 21 chs, sc in last 2 sts. Join with a sl st in first ch. Ch 1. 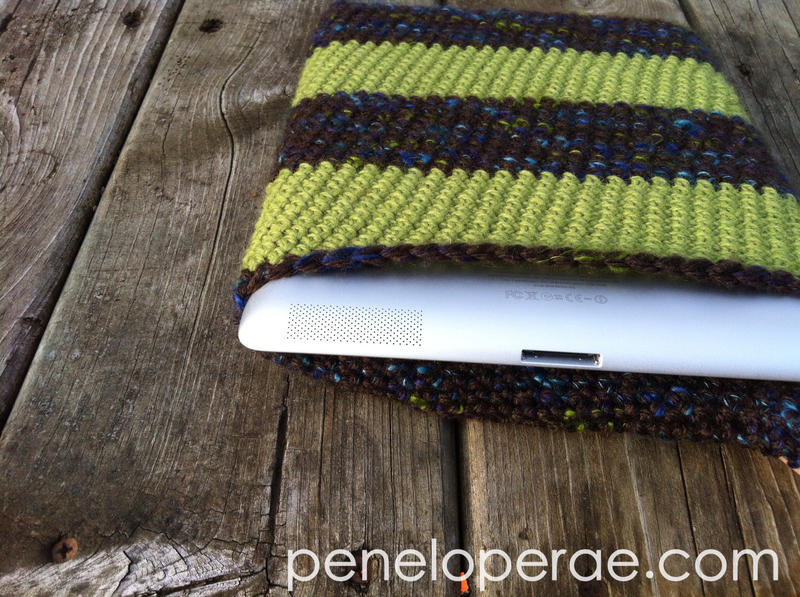 Make sure your sleeve fits perfectly over your iPad and turn the top flap inside out so you are looking at the inside where you will join the seam. Finish: Tie off and tuck in all ends with the yarn needle.